A while ago, Facebook let us know they would be redesigning Messenger. Well, the new version has started to roll out for some users! It is reported to look a lot different, with a more simplified design. We'll see in the coming weeks if that rolls out for the rest of us. HBD! Facebook Marketplace turns TWO! Thanks to AI, you will be able to buy and sell things much faster! "Here’s an example: if you wanted to sell your home office chair, Marketplace could use AI to help you sell it even faster by suggesting you price it between $50-75 based on what similar chairs recently sold for. It will also automatically categorize the chair as “furniture” based on the photo and description, so that you don’t have to." Shopping is made easy, right at your fingertips. You can also report those listenings that you believe really shouldn't be on Facebook. Lastly, just so you are aware, Facebook warns that third-party apps may have been affected during the breach. Just beware and change your passwords, friends! Snapchat is ALREADY in the holiday spirit. I can't say I'm mad. 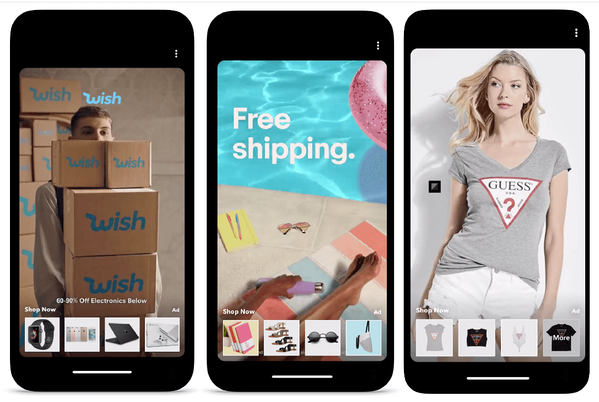 Already ahead of the holiday season, Snapchat has added new ad option. These tools are e-commerce based to help with your holiday shopping. It's a small update but how exciting! 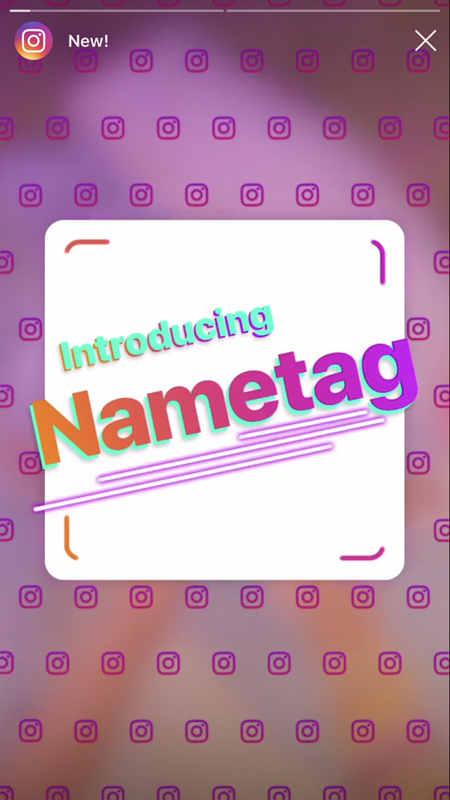 Instagram's new 'Nametag' feature will make it easier to follow people you meet! 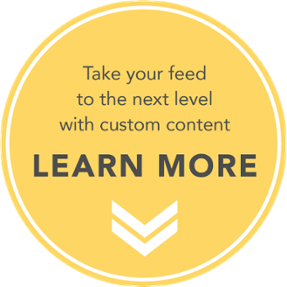 This feature is similar to those found on other social media platforms. 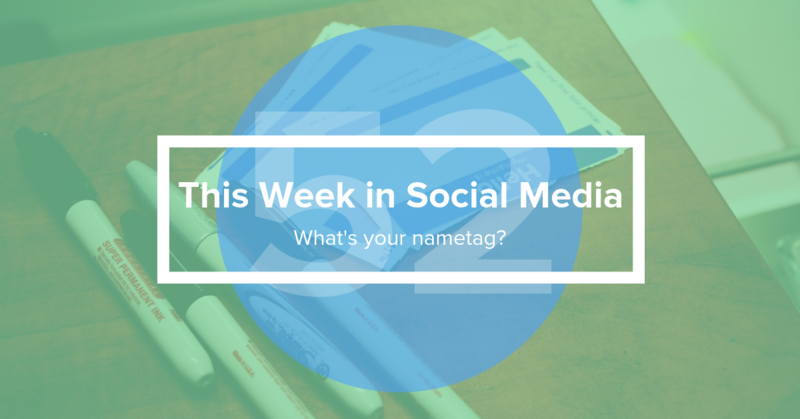 Using your phone, you can show your username to your friends IRL, who can scan your phone to instantly add you on Instagram! There's a new head of Instagram in town! Congrats, Adam. "We are pleased to announce that Adam Mosseri, our current Vice President of Product, will become the Head of Instagram starting today." 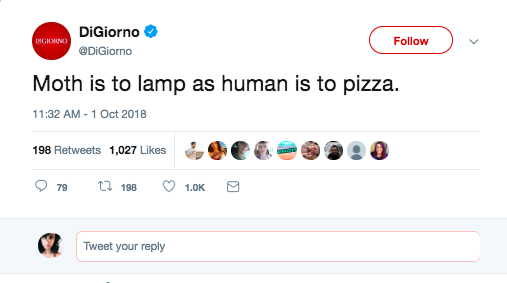 DiGiorno playing into the moth meme trend... It's lit.